The deal is precisely the kind of news that the health care industry has been fearing for months, as Amazon hinted it was interested in expanding its reach to include prescription drugs, a $560 billion business. In the world of health care, online pharmacy PillPack is a pretty small player. Its workforce of 1,000 or so people pales in comparison with the 235,000 who work for Walgreens. But when Amazon announced Thursday that it was buying PillPack, the deal immediately shook the industry. Shares of Walgreens and Rite Aid tumbled more than 9 percent, while CVS Health dropped 6 percent. That is because with one move, Amazon answered the question about when — and how — it would grab a piece of the $560 billion prescription-drug industry. It was precisely the sort of deal that the health-care industry had feared. Amazon has been hinting at its interest in selling drugs, but it faced the problem of securing pharmacy licenses in each state. PillPack will help overcome that hurdle, since the startup is licensed to ship drugs in 50 states. And it will be doing so without much financial stress. Amazon, which has a market value of over $840 billion, is paying about $1 billion for the startup, according to one person briefed on the deal, who was not authorized to speak about it publicly. Amazon beat out Walmart for the company, the person said. Anxiety over what Amazon might do in health care has unsettled the industry. The company’s interest in drugs has been considered a factor in a wave of recently proposed mergers, including CVS’ acquisition of Aetna and a union between the health insurer Cigna and Express Scripts, the pharmacy-benefit manager. Amazon’s entry could make it easier for some of those deals to get approval from regulators, by adding a new competitor. Last fall, perhaps in a move to get ahead of Amazon, CVS announced it would offer next-day delivery of prescription drugs and same-day service in some big cities. The next-day delivery began this month, for a fee of $4.99. PillPack, which started in 2013, distributes pills in easy-to-use packages, sorts prescriptions by the dose and includes a label with a picture of each pill and directions. It is not necessarily a major player in the pharmacy world, bringing in about $100 million in revenue in 2017, according to the company. But PillPack has long been seen as a potential target for larger businesses looking at online drug sales. Its national reach made it an attractive prospect for Amazon, said Adam J. Fein, chief executive of the Drug Channels Institute, who studies the industry. After early tussles with pharmacy-benefit managers like Express Scripts, PillPack also managed to work with major benefit managers and insurers, not an easy feat for an online pharmacy that directly competes with many of those companies’ mail-order businesses. Even as Americans have shifted their buying habits online, prescription drugs have remained a stubbornly brick-and-mortar purchase. About 90 percent of all prescriptions are filled at a pharmacy counter, according to Iqvia, a research firm. If Amazon can break that habit, it could upend the industry. “It helps people to eliminate that trip and buy everything they need from Amazon,” said Stephen Buck, a pharmaceutical supply-chain expert who co-founded the drug-price website GoodRx. In a call with investors Thursday, Stefano Pessina, chief executive officer of Walgreens Boots Alliance, said he was not concerned about Amazon’s acquisition. He said the physical pharmacy would remain important to customers in the future. Carolyn Castel, a spokeswoman at CVS Health, said her company had the same abilities as PillPack, with many more existing customers. Independent online pharmacies have had a tough time because consumers who do buy their prescriptions through mail order are often required to do so by their insurance plans. Pharmacy-benefit managers have traditionally offered employers and insurers incentives requiring that long-term prescriptions be filled through the managers’ own mail-order pharmacies. And for short-term prescriptions, like antibiotics, many consumers prefer their corner drugstore, since they often need to fill those drugs right away. About 85 percent of prescriptions in the United States are for refills, according to Iqvia. But Buck and others said Amazon might have a new opportunity. A growing number of Americans are without health insurance or have such high deductibles that they may be better off bargain shopping on their own. He estimated that 25 million Americans fell into that category. Until now, he said, PillPack has not aggressively competed on price. With Amazon in charge, “how about they start posting prices that are really, really aggressive?” Buck said. 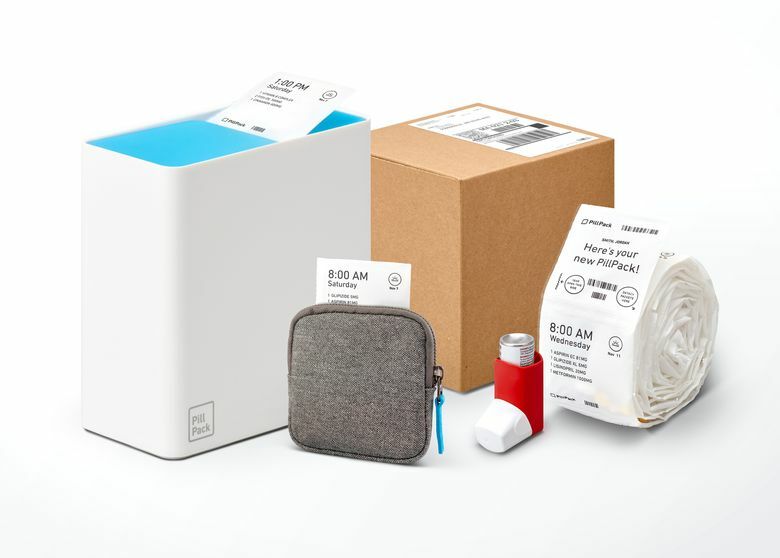 The deal for PillPack could be just one piece in Amazon’s broader health ambitions. In January, Amazon, Berkshire Hathaway and JPMorgan Chase & Co. announced plans to form an independent health-care company for their employees in the United States, in what could become an incubator for new ideas. Last week, the companies said Dr. Atul Gawande, a Harvard surgeon and staff writer for The New Yorker, would become chief executive of the business. Amazon has also pushed to expand its medical-supplies business, seeking to become a major supplier for hospitals and outpatient clinics. It received wholesale pharmacy licenses from several states this year that permit it to start selling medical equipment to businesses. Its products could be used to supply operating and emergency rooms, along with outpatient locations. The company previously tried to enter the pharmaceutical world in 1999 by purchasing 40 percent of Bellevue-based Drugstore.com. However, it ran into logistical and regulatory challenges that ultimately derailed the effort.